The North Estonia Medical Centre consists of seven clinics based in different locations in Tallinn and outside city limits (e.g. Kose Hospital). 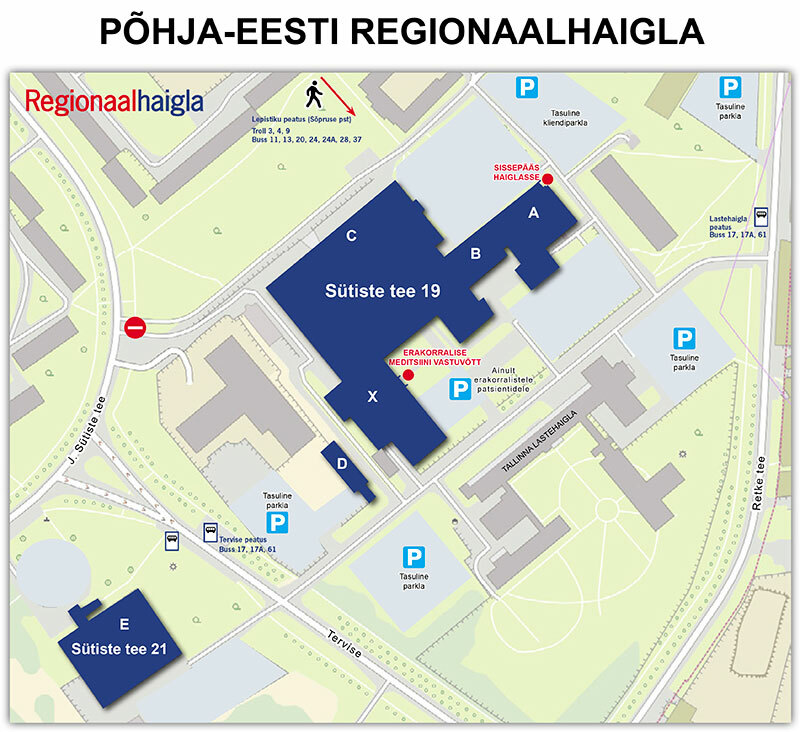 We provide medical care in six different building complexes, five of which are located in Tallinn: one in the Mustamäe district, two in the Hiiu part of Nõmme district, a psychiatric clinic on the territory of Seewald manor, the blood centre in North Tallinn district and the tuberculosis department in Kose in Harju County.